WARREN, Maine — The warden of the Maine State Prison was fired Thursday morning, according to multiple sources. But the reason behind her dismissal is not being released and top administrators with the Maine Department of Corrections declined comment Thursday. Patricia Barnhart has been warden at the prison since the end of 2009. “I’m not at liberty to discuss that with you, but you’re welcome to contact the central office,” Barnhart said when reached by telephone Thursday morning and asked whether she was still the warden. Jim Mackie, the union representative for employees at the Maine State Prison and the Bolduc Correctional Center in Warren, said that he has heard from staff at the prison that Corrections Commissioner Joseph Ponte walked into her office Thursday morning and informed her she was fired. He said Thursday evening that no one he had spoken with knows why she was fired. Mackie said he had been in meetings with Barnhart Wednesday to discuss two employee grievances and there was no indication of any problem. He said she was laughing and joking. “She was the consummate professional,” Mackie said. The American Federation of State, County and Municipal Employees staff representative said the two correctional facilities in Warren received accreditation from the American Correctional Association and both occurred under Barnhart’s leadership. The facilities received 100 percent scores. “If that makes her a bad manager, we need to hire more bad managers,” he said. He said she also cared about employees and they respected her. Questions on the dismissal directed to Commissioner Ponte were referred by his office to Jody Breton, associate commissioner of the Maine Department of Corrections for Legislative and Program Services. When asked shortly after noon whether Barnhart was still the warden, Breton said, “I have no comment.” Contacted later, Breton said there would be no comment Thursday. The commissioner was meeting with staff in the department to inform them of the dismissal, according to one source. Mackie said he has heard that Rodney Bouffard, the superintendent of the Long Creek Youth Development Center in South Portland, and Ralph Nichols, department of corrections director of operations, would be overseeing the prison for the next six months as the state looks for a new warden. Nichols’ responsibilities include county jail inspections, policy development, capital projects, security operations, and work with the American Correctional Association. According to the state’s website, the Maine State Prison has a capacity of 916 inmates and a staff of 410. The prison population was 850 in November, according to Bangor Daily News archives. The prison, including the Bolduc facility, had a 2012-2013 budget of $41.3 million. Barnhart was paid $100,523 in 2011, according to MaineOpenGov.org web site. Barnhart was embroiled in a controversy during the summer of 2011 when she purchased 5 acres of state-owned land at well under the value of the property. The Maine Attorney General’s Office issued a ruling that the sale was illegal because of the state’s conflict of interest laws. The Legislature held hearings on the controversy. The state ultimately purchased the land back from Barnhart for the same price she paid plus $2,000 in costs she incurred. The prison also has tried to curb illegal drug use within its walls. Thirty-eight inmates were charged with drug crimes in 2011 and 26 in 2012. When asked about the dismissal, Sen. Gary Plummer, R-Windham, who is the lead Senate Republican on the Legislature’s Criminal Justice and Public Safety Committee, said he couldn’t comment directly on the matter. “My information is that there is a personnel situation. Because of that, I’m not allowed to discuss this situation,” said Plummer early Thursday afternoon. 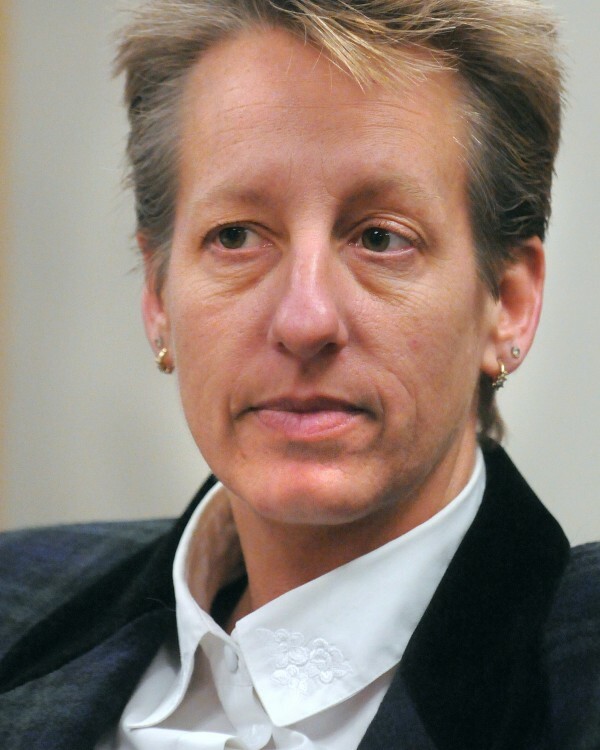 State Sen. Anne Haskell, D-Portland, who previously served as chairwoman of the Legislature’s Criminal Justice and Public Safety Committee, said she always found Barnhart to be responsive to the committee. The state prison was moving in the right direction, Haskell said, under Barnhart’s leadership. This included improvements in the special management unit of the prison where prisoners are isolated from the general population. The state senator said, however, that personnel issues such as who is warden are the prerogative of the corrections commissioner.